My favorite Girl Scout cookies were always (and still are) Somoas. This definitely fits with my general love of the chocolate/coconut combination (see this post for additional evidence). Unfortunately for my taste buds/fortunately for my daily sugar intake, delicious Somoa cookies are only available during "cookie season". These Somoa Brownie Cupcakes should fill the void during off-season though. What do you think? Somoa Brownie Cupcakes - YUM! Evenly spread the shredded coconut on a cookie sheet and pop into the oven for 5-10 minutes, or until lightly toasted. Move the coconut around with a spatula a few minutes into the toasting process, so that it toasts evenly. 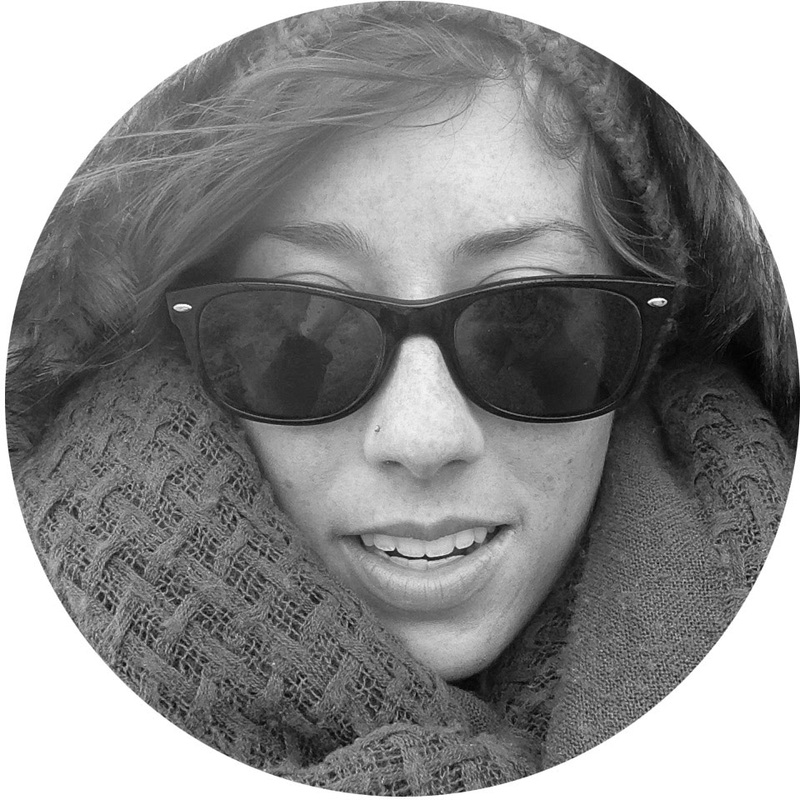 You'll set this aside for the topping. 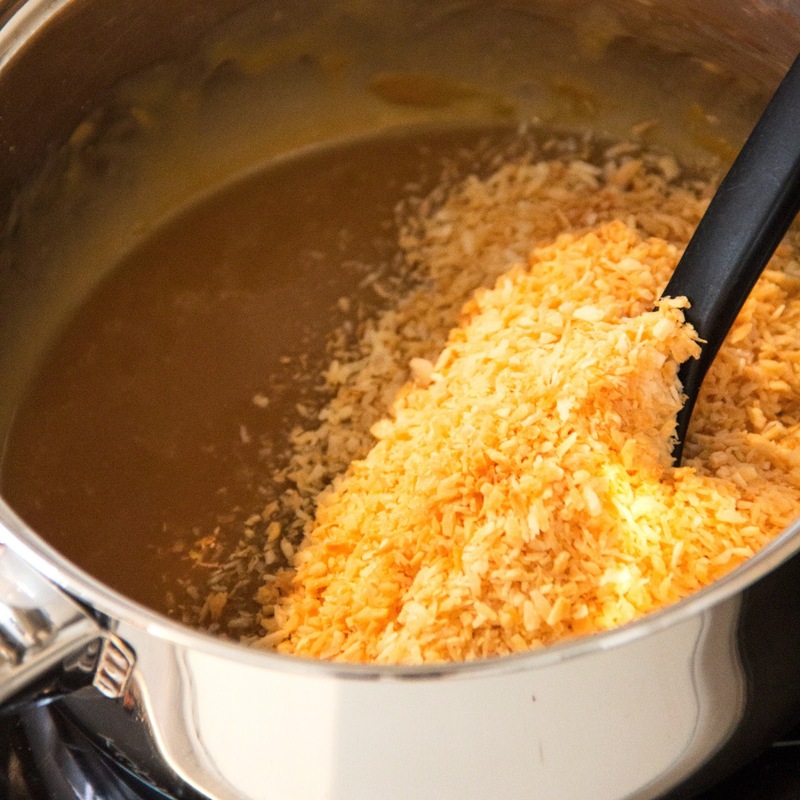 While the shredded coconut is toasting, melt the solid chopped dark and milk chocolate and 75g butter in a double-boiler. Stir constantly and remove from heat once a little over half of the chocolate is melted. Continue stirring and the heat of the melted chocolate will melt the remaining chunks. Set aside for a moment after melting - you'll use this soon. 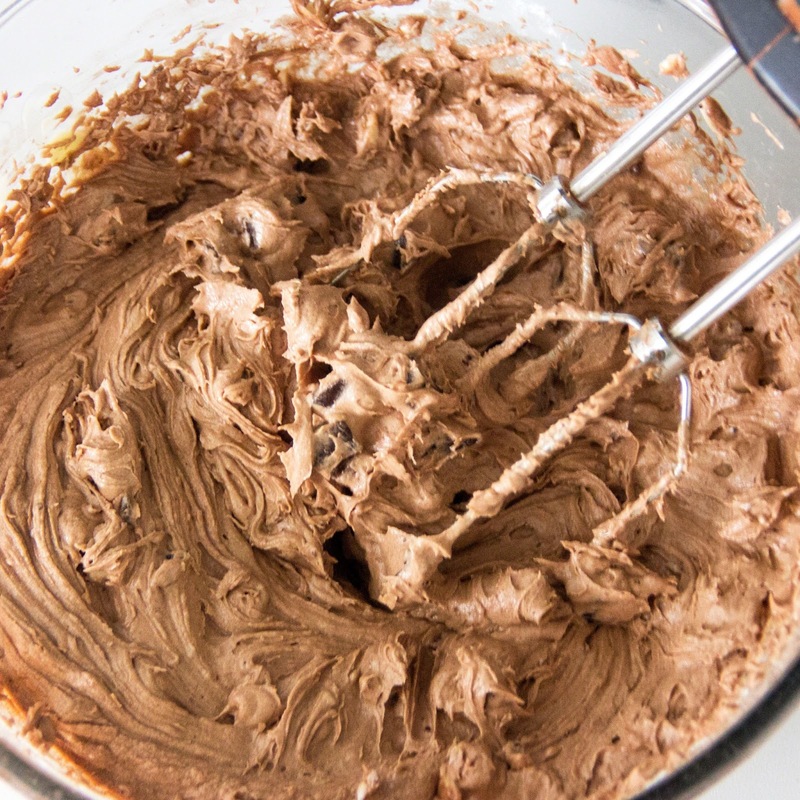 Next, beat the eggs, sugar, vanilla, and chocolate powder with a mixer - low speed unless you particularly want chocolate powder to coat your entire kitchen. Gradually add in the melted chocolate, then the flour. Mix until fluffy - I used an electric mixer on medium for about 2 minutes. 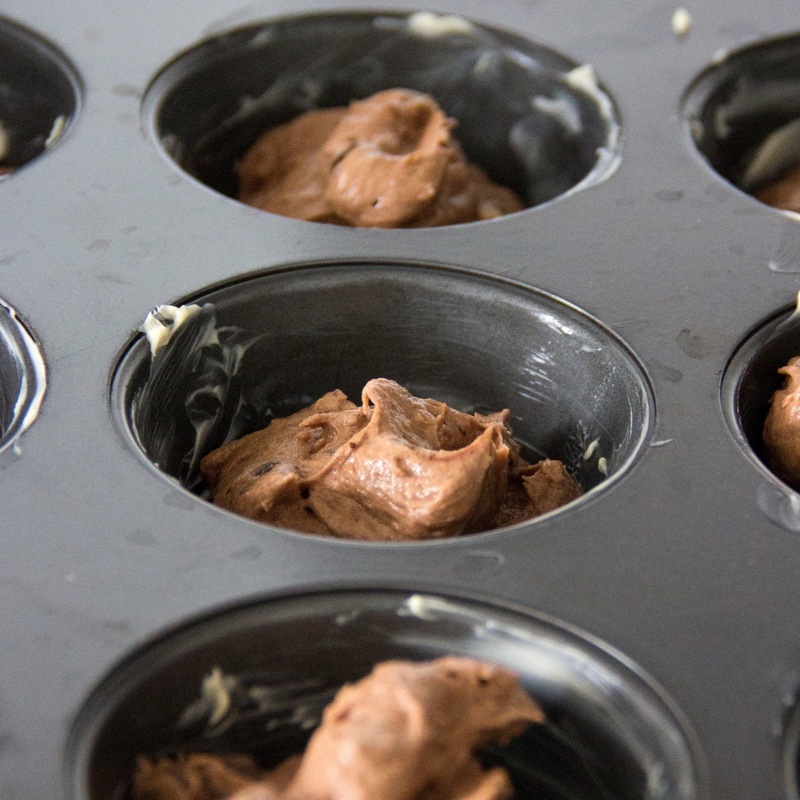 Lightly butter a muffin tin, and spoon in the brownie batter. Fill about 1/2 of the full. Bake for 15-20 minutes, or until they pass the toothpick test! Let cool before icing. 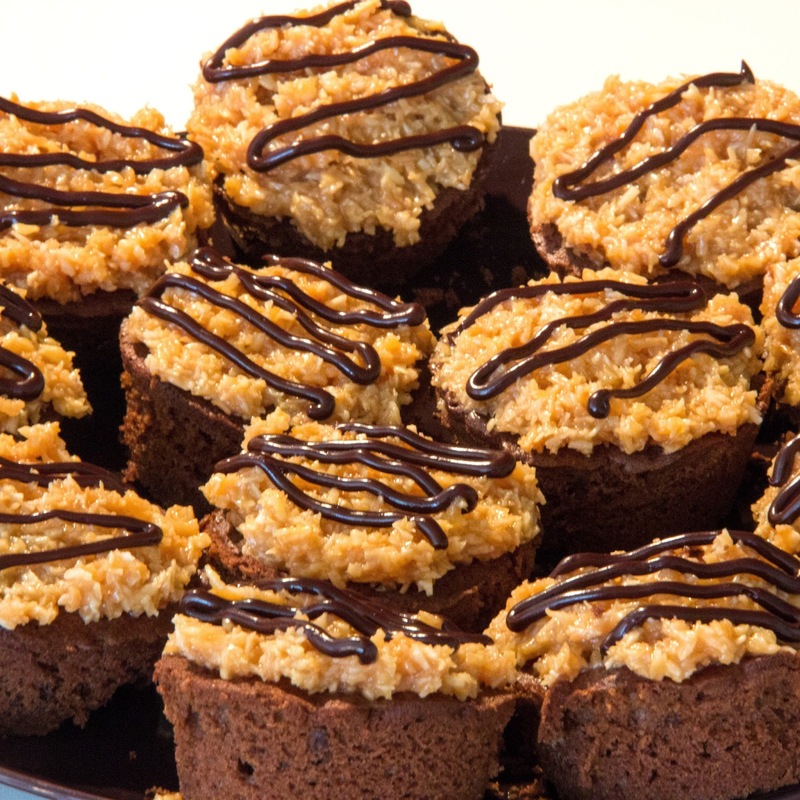 Once your brownie cupcakes are in the oven and baking away, you can start on the topping. 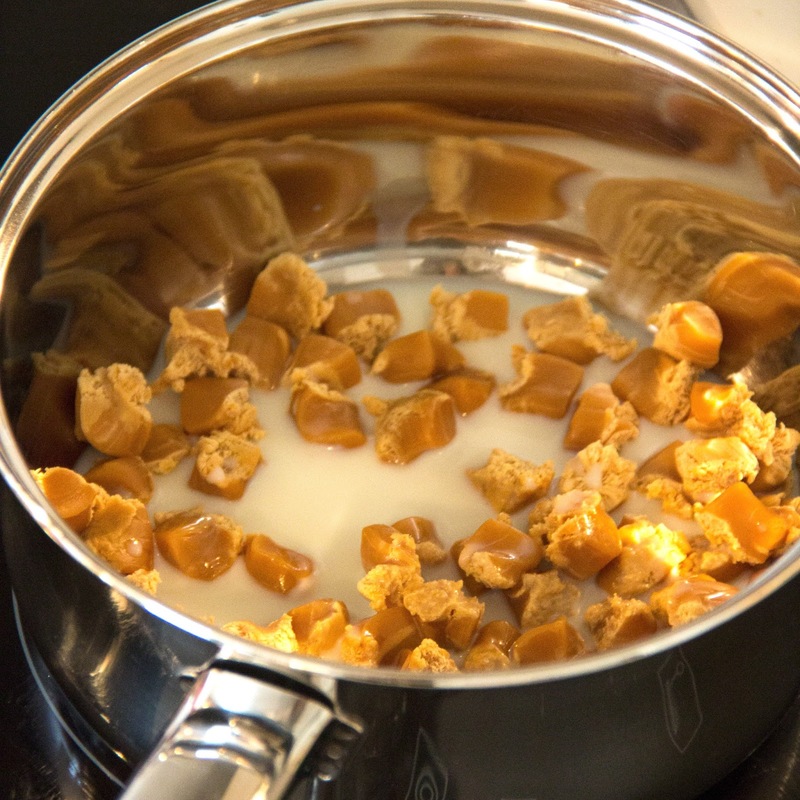 Chop the caramel pieces, and melt in a saucepan over low heat with the milk. Stir constantly. This will take some time. Once the caramels are (finally!) melted, pour in the toasted coconut and mix thoroughly. This should be a reasonably sticky topping, and not at all liquid-y once the coconut is stirred in. If your caramel coconut topping can be poured, rather than spooned, add more shredded coconut! 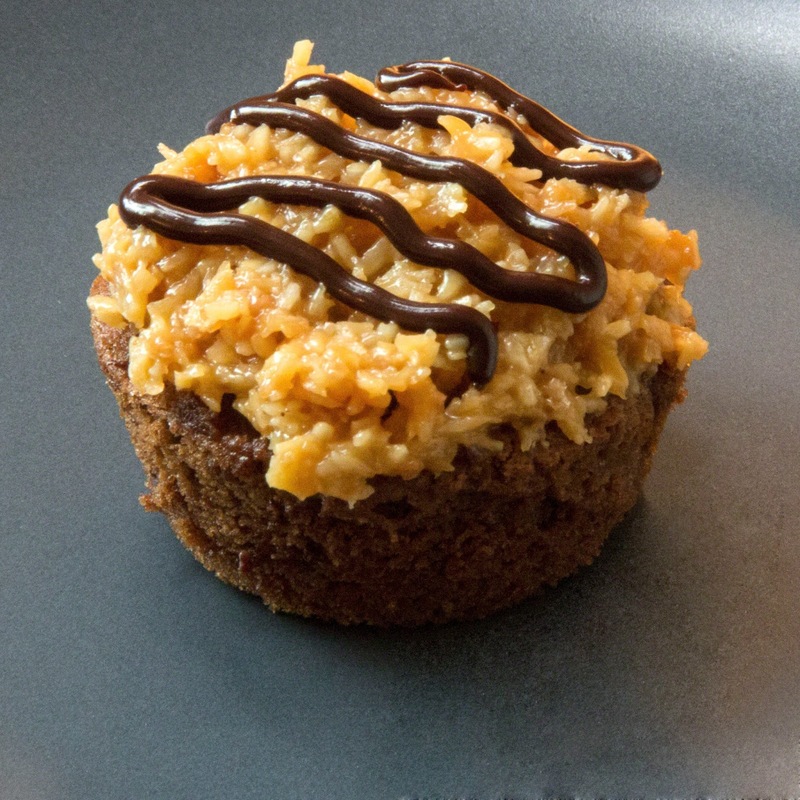 Once your brownie cupcakes have cooled, spoon the caramel coconut topping over each one. Be generous. Finally, melt the remaining chocolate with the double-boiler and pour into an icing bag (or a plastic sandwich bag with a small hole snipped in the bottom corner, which is what I did!). Squiggle a little chocolate design on top of the coconut caramel topping, so each brownie cupcake will now really look like a Girl Scout Somoa cookie! Voila! A close up of the final product! I hope you enjoy these! I definitely did!